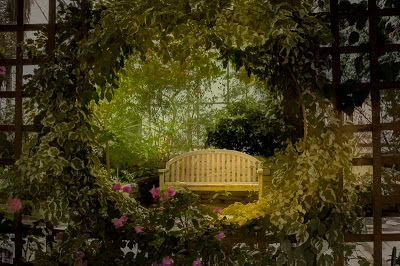 I seem to be drawn to garden benches. They are meant for us humans, so make the garden a human place. 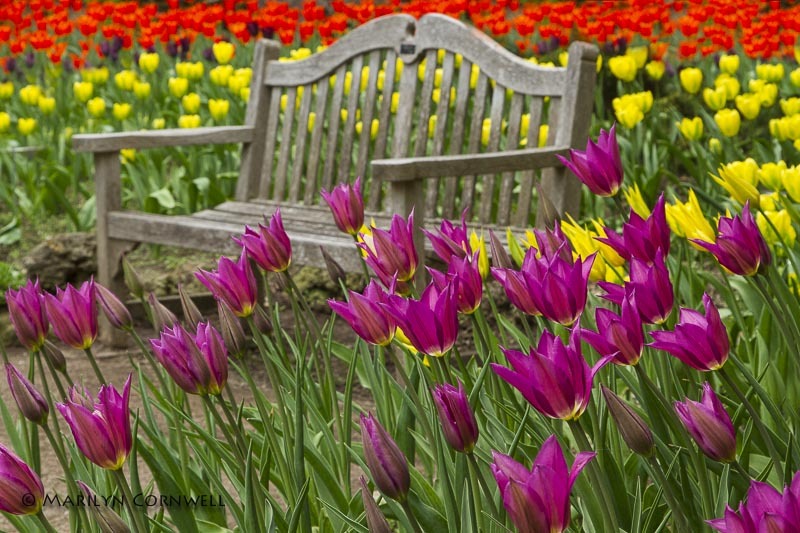 They are invitational to sit and enjoy, and they provide a resting place for the eye in the landscape too. Everywhere I go, I just seem to find them. Of course, going to a lot of gardens does mean I find a lot of them. 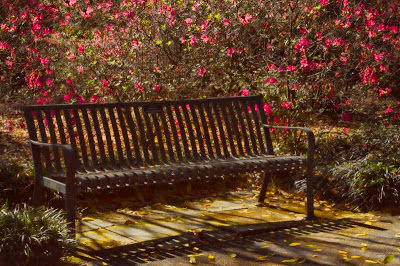 If you know of any beautiful benches, it would so wonderful to hear from you. 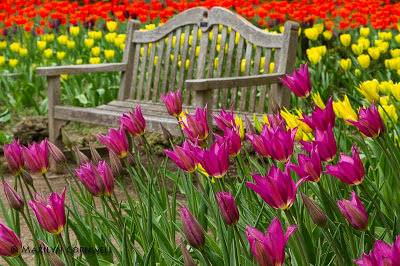 My favourites so far this there have been the Royal Botanical Gardens benches in the Mediterranean Greenhouse with that beautiful variegated Bouganvillea framing it and in the Rock Garden with the tulips framing the bench with their vivid colour display. These pictures are from April 2013. This last bench is in the Harry P. Lieu Garden in Orlando Florida in February. It is particularly pretty with the Camellias framing it, and the light patterns. 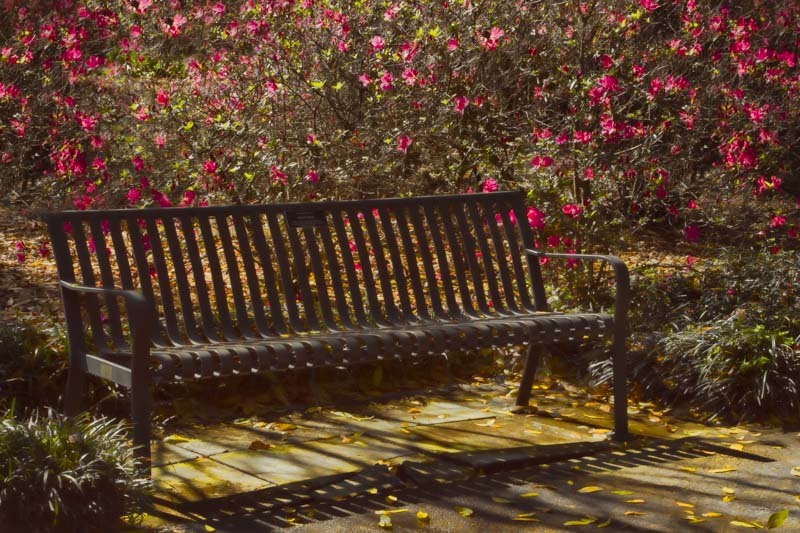 I love the way Garden Benches not only transform the landscape into a place more beautiful and aesthetic, but also are very useful. Some of them even have storage for your tools!